With a name like Saxons of Oxford it was evident that Anglo-Saxon heritage would come into play at some point during our process of jewellery design. The prolific theme of battle is an extremely rich one from which to draw inspiration, and it is through this that we came to the conception of ‘Fusion’, our newest line. By looking at both weapons and armour and combining them with the importance of leather, indispensable due to its strong, durable qualities, the three pieces of the collection took shape, finally becoming what they are today. These themes are both extremely relevant to modern society, something which of course feeds into the collision of modernity and tradition at the heart of Saxons of Oxford. We may no longer require shields and armoured plating on a daily basis in the field of battle, but a similar analogy can be applied to the self, and the way in which we all use armour to protect ourselves. In this way, the collection also links with our debut collection, ‘Insider’. 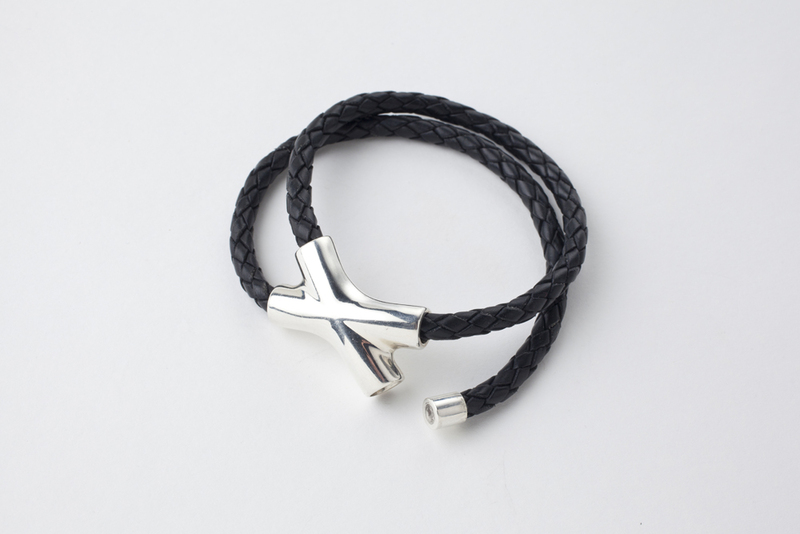 The crossover bracelet features a single length of leather cord in a variety of colours, (available on request) which passes twice through a 925 sterling silver cross feature at its centre; a hidden magnet holding it in place when on the wearer’s wrist. Fusing two materials in its creation, this bracelet represents the silver armour protecting the more natural leather beneath, harking back to the Anglo-Saxon theme of battle. 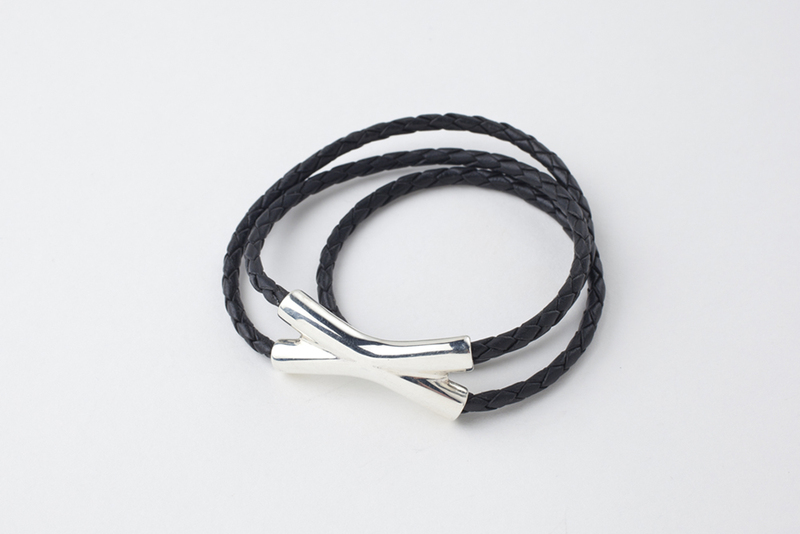 Crossover comes in both a male and female version, with a large and small size of leather cord forming the difference between the two. An idea formed from the image of the Anglo-Saxon Coppergate helmet, the Pincer is a delicate 925 sterling silver pendant with a polished finish and a piece of black onyx suspended at its centre. 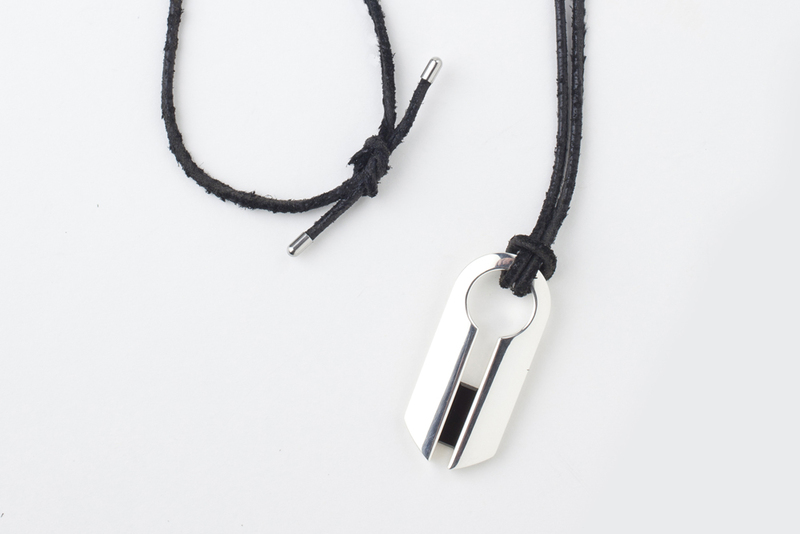 Worn with a leather cord looped through the top, this pendant juxtaposes the natural, rough leather cord with the smooth finish of the silver and reflecting the nature of battle against the fragility of human existence. Taking inspiration from Anglo-Saxon shields, the central focus to the Button bracelet is its onyx-hearted fastening that represents the iron boss positioned in the centre of the shield to protect the warriors hand during battle. The onyx disc is encased by a 925 sterling silver exterior with a black braided leather cord that loops around to fasten. The complete Fusion collection is now available from Jewelstreet along with the Illustrious and Insider collections.